Michelle Honda has attained her Ph.D. D.Sc. in Holistic Health Sciences. Michelle is a constant researcher, continually striving to seek out the best solutions for her patients and resources for her writing. 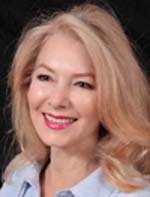 Michelle Honda is an ongoing author with several future book requests from her publisher. Michelle comprises a heavy focus on Clinical Nutrition and Phyto-chemistry of Plants. For her hard work, Michelle received an academic achievement award, elected from among students in American Universities and Colleges “for recognition of outstanding merit and accomplishment as a student,” which earned her an invitation to Cornell University and a scholarship. She has a vast knowledge of disease, physiology, bio/phyto chemistry and clinical nutrition which makes Michelle a highly resourceful clinician! For clarification, Michelle is not a medical doctor (MD), nor is she a naturopathic doctor (ND). All treatment modalities are non-invasive. She walks the talk and is an example of what great health should be all about. Bachelors of Science: Women’s issues – unraveling menopause and osteoporosis. Masters Thesis: Major gastrointestinal disorders (Crohn’s, Colitis, IBS, Diverticulitis and Chronic Constipation). Doctorate Dissertation: Type 2 Diabetes: Reversal process using nutrition and plant extracts. Considered an expert in this health field and also having written two books on this topic and several articles. 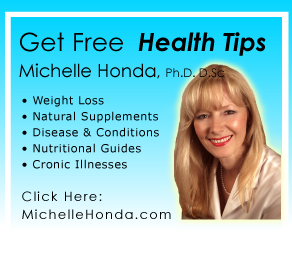 Michelle has worked tirelessly to bring about full reversal programs for her patients. Michelle offers an extensive weight loss program (12 weeks) that includes 140 plus pages of detailed information to follow and provide future guidance. But there is always circumstances when just a few appointments will do the job. Random house/Penguin requested Michelle (via publisher) to write a book on ‘Reversing Inflammation Naturally’ which will be released May 31, 2017. Inflammation is involved in all aspects of disease and disharmony in the body – which is initiated by the immune system (not the other way around). Michelle covers many chronic diseases in her book afflicting the general population along with the steps and natural safe remedies to quell inflammation all the while working toward a pain free life. You’ll be surprised at the success you can have in reducing pain by simply adjusting some common dietary items. Areas in particular include gall stone cleanse to prevent losing your gallbladder. Liver toxicity and sluggish/fatty liver. Correct cholesterol imbalances – the correct way. Anxiety/Depression/Schizophrenia/Bipolar/Autism/ADHD: Michelle works often in this area of health feeling it very important for her patients to be aware of the long term effects of certain medications and the steps to rebalance their moods and emotions. This is an important area since it still remains the number one killer. Michelle has written a book taken from her work in reversing clogged arteries and stroke/aneurysm prevention and much more. In her book ‘Reverse Heart Disease Naturally’ Michelle offers her custom diet that provides weight loss for those that need it (or not for those that are not over weight) without a really low calorie intake. The straight forward diet has a couple of Michelle’s secret recipes for locking onto plaque and bad fats. There are specific reasons why a person progressively becomes more and more fatigued which ultimately affects their personal day to day life and family relationships. Inflammation plays a prominent role heightened skin irritation which is putting it mildly for anyone who suffers with this type of problem. Weak enzymes can be involves and certainly nutrient deficiencies. Guest lecturer at the McMaster Summer Institute on Gerontology (June 2006). Topic; “Natural Healing Therapies for Pain”. Our Frequently Asked Questions (FAQ)>> page is very helpful for those considering working with us.